Description Assorted Carved Pumpkins With faces. 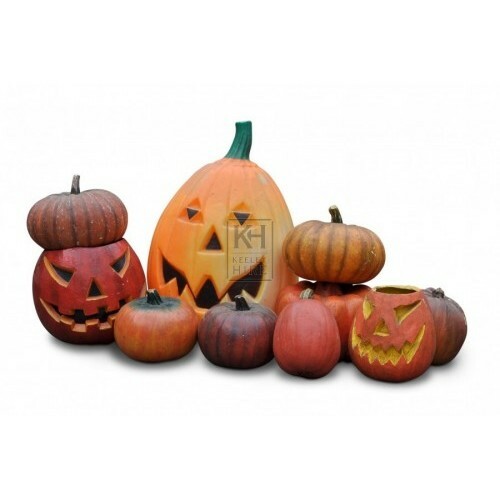 please see item ref 5441 for the pumpkins without faces. Please note the largest pumpkin seen in the picture above here is not for hire under this reference. 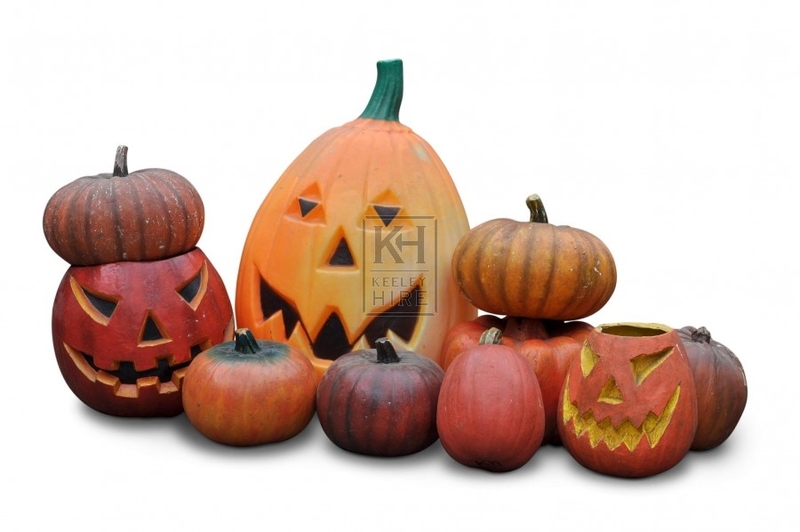 Please see the "light-up Pumpkin" prop: 6977 in the Halloween section.